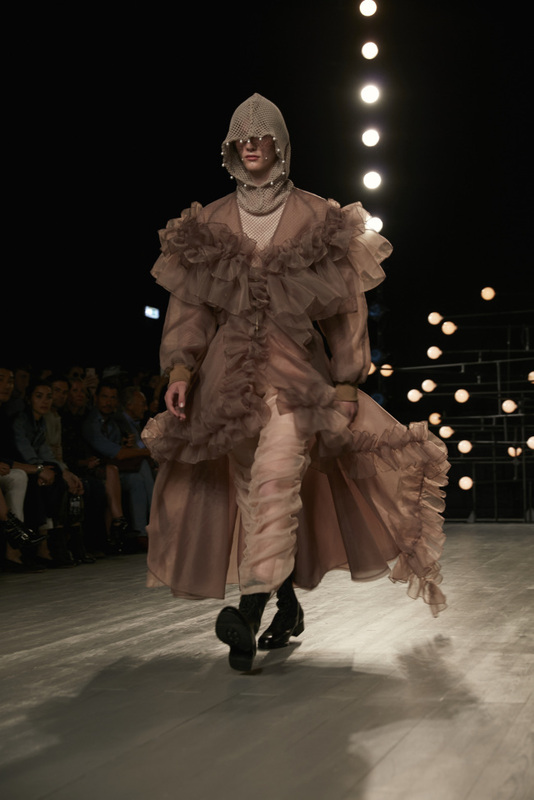 Designer brand Blindness showcased its collection at London Fashion Week Men’s Spring-Summer 2019, making its international debut. 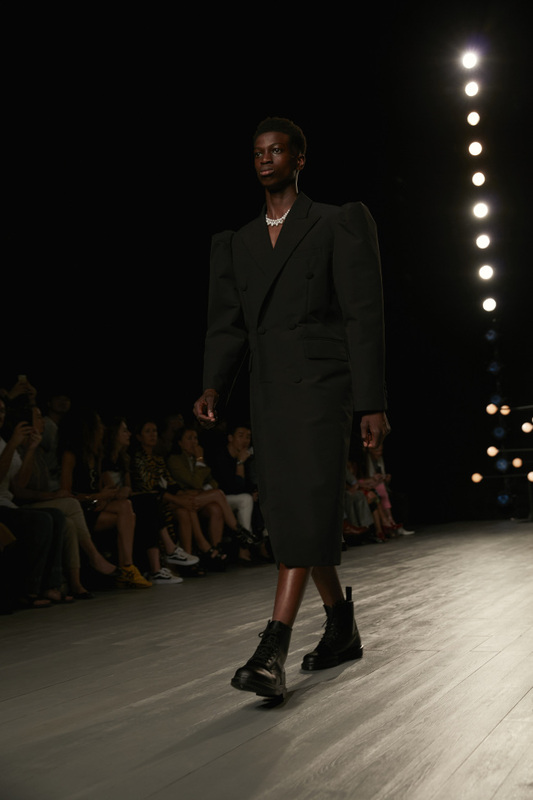 On Monday, Blindness presented its 2019 spring-summer collection titled “You are at once both the quiet and the confusion of my heart” at BFC Show Space in central London. The collection depicted the emotions of pure love and curiosity, and feelings that are hard to define. Diverse patterns of innerwear and outerwear were layered to convey the difficulties of distinguishing mixed emotions. As the collection is for the upcoming spring season, spring flower patterns and organza were used, emitting a dreamlike atmosphere. The overlap of textiles from frills was used to depict a confused mind. Jung Ku-ho, director of Seoul Fashion Week, was at the scene, celebrating the rookie designers’ international debut. “I hope there will be more chances to support (rookie designers) and make the world know of their potential, (with this opportunity) serving as a pioneer of spreading the possibility of Seoul fashion design,” he said. 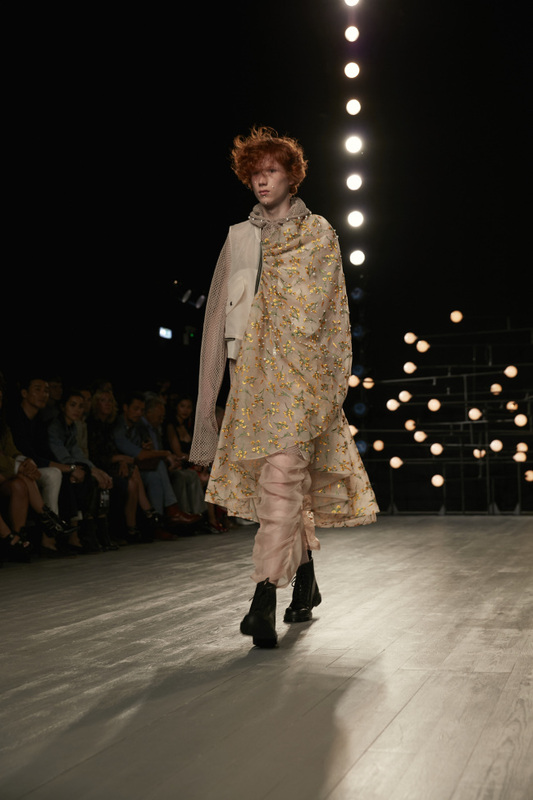 The Seoul Metropolitan Government and Seoul Design Foundation signed a memorandum of understanding with the British Fashion Council on May 21, agreeing to cooperate on developing young, aspiring designers. They will help more local designers to debut internationally through the upcoming London Fashion Week in September and invite British designers to come to Korea for Seoul Fashion Week in February.